According to scientists, people, including coaches, are generally terrible at assessing their own skills for two reasons. "The effect creates a vicious loop that boils down to this: The less skilled you are at something, the less likely you are to recognize how unskilled you truly are, and thus you overestimate how your abilities. 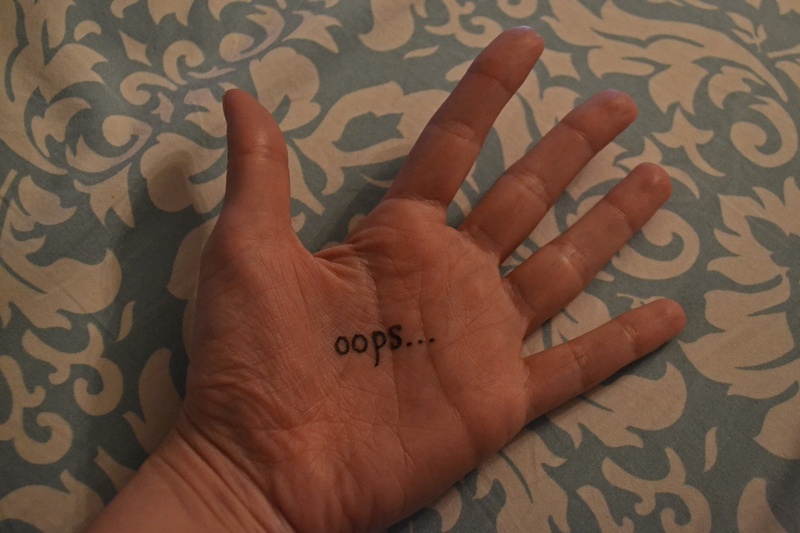 Worse still, because you can't see your errors, you'll never know what you need to correct." 2. We don't know what we do know. This is sometimes known as Unconscious Competence, a.k.a. 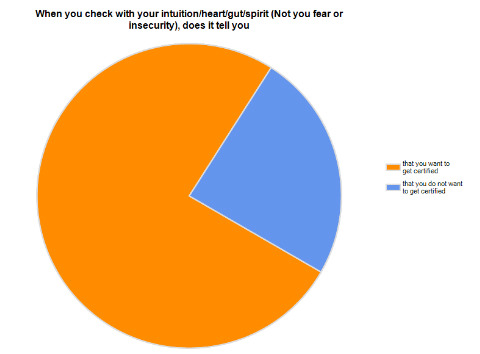 Imposter Syndrome or the Fraud Factor. Sometimes we have an abundance of strengths, but don't know it. Both these issues are common among newer coaches and sometimes even veteran coaches. Sometimes coaches who have little or no training aren't as skilled as they think, or may be skilled in only a few tools that a coach would use, or may be advising or consulting instead of coaching. For example, I recently had a conversation with a coach who's been an "internal coach" for major corporations for decades. She has a masters degree in counseling, and even an ivy-league background, but recently discovered that she can no longer get hired without coach certification. She called me for advice and I gave her some. But at the end of the conversation, she said something telling. She said, "Thanks for the coaching." I didn't coach her. Advising isn't considered coaching in today's world. Coaches have more powerful tools. That's one of the reasons organizations require proof of certification, now. On the flip side, some highly skilled coaches don't realize how extraordinary they really are. They generally assume others can coach as well or better than they can. They literally need someone to tell them what they are doing well in order to own their mastery. Owning it can help strengthen it. Mastery happens when you've practiced your skills to the point they are second nature to you. You can call on them without thinking about it. They have become implicit, rather then explicit, or "Unconscious Competence." 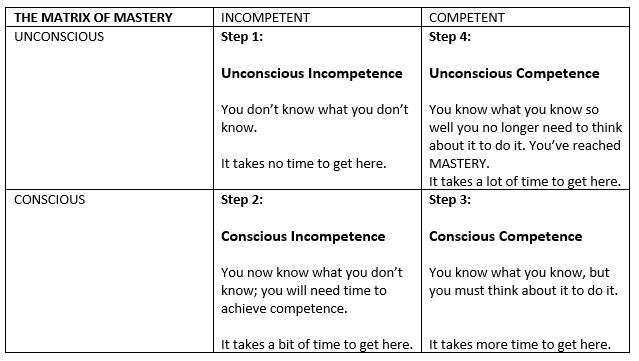 What are the solutions to reaching competence and even mastery? There are three. One is learning. Work with people who are ahead of you on the path. In coaching, that would be qualified coach trainers and mentor coaches. The second is a tool used by all effective trainers and mentors to help their coaches strengthen both their strengths and their weaknesses: Feedback. The third is time. If you're getting effective training and feedback, all you need is time spent practicing what you've learned and applying your feedback and you will progress. Getting feedback from clients is helpful, but usually incomplete. Getting feedback from fellow students may fill in some of the gaps left by clients, but may not cover everything. Getting feedback from experts helps fill in all the gaps. Best of all, get all three types of feedback, if you can. Without any training or feedback, even people who've been calling themselves coaches for decades may not realize they haven't developed all the skills of coaching, or perhaps they are truly masterful, but don't know it, and neither do those who would otherwise hire them. Don't lose even one client because you aren't a certified coach. 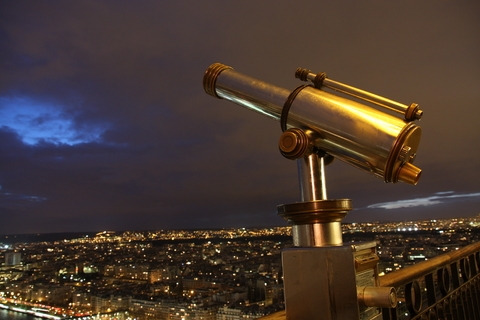 What’s on the horizon for the profession of coaching? TREND: With artificial intelligence expected to replace many humans in professions that rely on knowledge and linear thought, such as medicine and law, thousands are training for fields, such as coaching, where intuition, creativity, people skills, and communication tools are more difficult to replicate in machines. TREND: Coaching skills have become wide-spread among workers who manage others. TREND: Coaching horror stories are on the rise. TREND: Hundreds, if not thousands, of privately-own coach training schools have formed. TREND: However, coach training is increasingly found in universities with sky-high tuition. TREND: As the climate crisis continues to grow, distance communication, working from home, virtual meetings, and other forms of distance work will rise. TREND: Webinar training tools, video chat, and other distance-learning and communications systems are evolving and improving. TREND: Scientific Research on coaching is on the rise, proving a scientific basis for coaching results. TREND: Positive psychology has become a source of powerful coaching tools. TREND: It is too late to prevent climate change, climate resilience for seven billion people, is a worldwide goal, and resilience is a top deliverable of positive psychology coaching. TREND: Neuroscience and neuroplasticity powerfully inform effective coaching interventions. TREND: Technology will continue to disrupt modern life at an ever-faster pace, with most people experiencing several major transitions in their lifetimes. 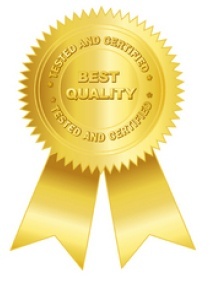 TREND: The number of coaching professional organizations and certifications that claim to be the ‘best’ continues to increase. TREND: Professional coaching can now be found in virtually every part of the world. TREND: Movements have been afoot, around the world, to regulate life coaching and other forms of professional coaching for decades, but so far, coaching remains unregulated. TREND: Most coaching clients say they prefer to work with certified coaches. Coaching Growth: The number of new professional coaches swelling the ranks will continue to grow. The number of professional coaches will level off over time, with a less-prepared, less-motivated coaches dropping out, due to increased competition. Coaching reach: Coaching will no longer be considered exotic or only for the rich and famous. It is almost as common as personal training, today. In addition, non-professional coaches will exist throughout society and many people will experience the benefits of coaching from childhood onward. Coaching delivery: Technology will provide coaches with excellent options for coaching their clients internationally, but local in-person connections will continue to be important, as technology continues to integrate online with offline. Coaching in corporate settings may continue to be delivered person-to-person, but most coaching will be likely to be delivered via computers, smart phones, and other mobile devices. Coaching fees: Coaching fees have traditionally been sky-high since coaching’s inception. Fees will level off, with a furthering split between a relatively small group of elite certified coaches, who deliver high-end, high-paid coaching, and a much larger group of coaches who offer lower-paid services. Coaching regulation: Professional coaching may be regulated in some countries, with many more in the process of developing regulations. These regulations will require coach-specific training, certification and/or college degrees, as well as adherence to standardized codes of ethics as requirements for coaches who coach for pay. Certifications and degrees: Consumers will commonly be aware of coaching horror stories and will know not to work with uncertified coaches. There will be no one certification, whether from a not-for-profit organization, or from a school, that dominates or is preferred – this will lead to further confusion amongst those who hire coaches, as well as those who want to become coaches. Newer coaches will have coaching-related degrees, certifications and/or certificates from ICF-approved schools and universities. Older coaches, those with years of coaching experience, but not the newer certifications and degrees, will survive only if they have excellent reputations as effective coaches. Coaching will be a mature profession that continues to evolve. Virtually all professional coaches will be trained and certified, and coaching regulation will be the norm. People will expect much more from professional coaches, partly because amateur coaches will be everywhere and partly because the dramatic transformations that occur with high-quality coaching will be expected, not just hoped for. Hypercomplexity, via technology and climate change, will be challenges that prompt people to hire coaches more often. More dramatically, as a result of coaching's growth, society will evolve, with more people living values-driven lives. People will upgrade their expectations of life and will find creative ways to satisfy their new standards. Non-professional coaches will exist everywhere in society and many people will relate to one another with a ‘coach approach’. It will become common for people to be coached at every stage of life. What is considered masterful coaching today will be considered average professional coaching. Society will continue to transform due to the effects of climate change, artificial intelligence, and professional coaching, and coaching will be a highly respected profession. Excellent professional coaches will continue to earn high fees, but professional coaching will be regulated virtually everywhere. In addition, people throughout society will be coaching others for free. Since coaching can be used for ‘evil’, there will be both positive and negative effects, but the awareness that comes from coaching and being coached will make it harder to manipulate groups of people. Far more will be expected and required from politicians, business leaders, teachers, coaches, and other leaders. Individuals will live their lives more courageously and having a coach to partner through important transitions, will be considered an absolute necessity, which means virtually everyone will have a coach. What do these coaching trends mean to you, the new coach? The future looks extremely bright for the cream of the crop. If you plan to be a professional coach and you want to be well paid, do whatever it takes to distinguish yourself as one of the best. That includes training, certifications, and evidence-based coaching skills. If you want to stand out quickly, take advantage of this small window of time to study with a privately-held school that will help put you head and shoulders above this increasingly crowded field. If you can afford to spend $50,000 on your training and there is a good-quality university coach training program that will actually teach you to coach, consider it. Because currently most universities only teach about positive psychology, leadership, and other related fields, but neglect in-depth skills and philosophies that make for great coaching and for coaching success. Get at least one coach certification from a not-for-profit organization, such as the ICF. Consider getting more than one such certification, since that may soon be a requirement for practicing coaching where you live and it’s impossible to predict which current organization, if any, will prevail. Continue to upgrade your knowledge and skills throughout your career. It will help you stay up-to-date on important trends, earn higher fees, and it’ll help you stay in business if/when regulations occurs. The other day I had a conversation with one of my coaching students about why Anthony Robbins wouldn't pass IAC life coach certification. Maybe it isn't fair to measure what Tony Robbins does by standardized life-coaching models. After all, he calls himself a 'Strategic Interventionist', not a life coach. Then again, he does have a coaching page on his website that claims he is the "Father of the Coaching Industry". Hmm, that flies in the face of what tens of thousands of coaches say, that Thomas Leonard is the 'Founder of Professional Coaching'. And I'm just guessing here, but this is a really big "BUT": There are quite a few overlaps between Thomas Leonard's approach to coaching (I studied at both his schools, where I received several coach certifications and I was Lead Certifier for the Thomas Leonard Coaching School) and Tony Robbins' approach, which I've studied informally. I'm a huge Thomas Leonard fan, BUT...it times out that Leonard may have stolen (ahem, borrowed) many of his ideas from Robbins. I'm just speculating, but Tony Robbins' most popular book, Awaken the Giant Within, in which Robbins calls himself a coach, was based on his work with thousands of people over twenty years and was published in 1991. Thomas Leonard founded his first coaching school (the first life coaching school in the world), Coach University, in 1992, with an awful lot of the very same ideas (though there are some key differences). Not that I think Tony Robbins invented all of his own ideas. Like many entrepreneurs, he seems to have repackaged, renamed and reorganized ideas that were already out there; some new; some ancient. REASON #1: Robbins often coaches people who are suicidal. One of the biggest no-no's in coaching is that coaches don't coach people who are mentally ill. And suicidal thoughts are a symptom of some mental illnesses. Both the IAC and ICF warn against using coaching as a therapeutic tool. The main reason for this rule is that an unskilled coach could actually harm the client. An additional reason is that the coach may expose him/herself to a lawsuit for practicing psychotherapy without a license. I would not encourage a coach to coach anyone who is in tremendous psychic pain, but I personally have coached clients who had some big issues. In many cases I required them to see a therapist while they worked with me. But they often told me that coaching helped them more than therapy. For some clients, those who are willing to take responsibility for their issues, the tools of coaching are far more empowering than psychotherapy. Robbins claims he's never lost anyone. If that's true then maybe his strategic interventions aren't as foolhardy as they would be for some coaches. And maybe he's actually saved thousands of lives. In that case, what he does is courageous and extremely valuable. REASON #2: Sometimes Robbins does most of the talking. This is one of the basic rules of life coaching: Let the client do most of the talking. But Robbins frequently doesn't follow this rule. I've seen him coach people when he did almost all of the talking. And it appears to work. Why? He reads body language extraordinarily well and he has a keen understanding of human nature. Isn't that true of other coaches, as well? I think it is, but Robbins has decades more experience than most coaches and he's worked with thousands of people. Most coaches can't scratch the surface of what Robbins has already accomplished and their skill levels reflect that. REASON #3: Robbins makes rude jokes about his clients, often when they are deeply suffering. As one of my colleagues said, 'I just thought he did that because he was an a**hole!' Apparently he does it because it jolts the client out of a stuck brain state just long enough for him to shift them into a more empowering thought pattern. And it seems to work! REASON #4: Robbins doesn't have any coach-specific training. Actually, this is only a problem for the ICF. The IAC recognizes that there are good coaches who, like Robbins, have thousands of hours of experience and have been learning for decades everything they can about how to facilitate enormous personal growth and development in others, but who may not have attended an ICF-approved coach training program. The ICF on the other hand, recognizes that quality coach training speeds up the coach's development, so s/he can coach competently within a year or so, instead of within ten years, which is what it often takes, for the self-taught. The ICF believes so strongly in coach-specific training that they recently announced that they won't even accept untrained coaches for membership in their organization. Robbins started his journey as a coach while he was still in high school - long before coach training existed. He not only coached his classmates, he claims he read 750 books and attended every seminar on personal growth that he could afford (sometimes attending the best ones several times, so he could master the material). Then he went on to coach thousands of people for decades. Tony Robbins exemplifies what Malcolm Gladwell says in his book, Outliers: That extreme mastery is the result of about 10,000 hours of experience, rather than the result of extreme talent. Talent is nice, but an obsessive commitment to 'take massive action', as Robbins would say, matters more. 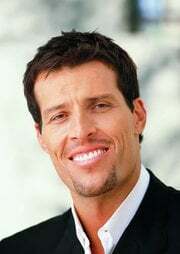 Let's face it, Anthony Robbins really doesn't need life coach certification. He is famous and his results speak for themselves. He gets away with an awful lot, because his clients already know his reputation and trust him, immensely. Both IAC and ICF certification processes are more rigorous to achieve than most coaches realize. They virtually force coaches to get thousands of hours of coach training and practice in order to pass. They won't turn you into Tony Robbins, but they will make you a much better coach. Think of life coach certification as a supportive structure that helps you become the kind of professional coach you'd want to work with. But take everything certifiers say about coaching with a touch of humor. 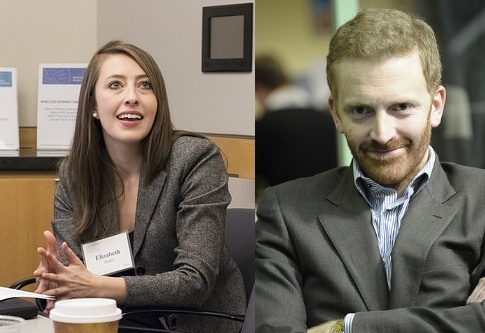 Because both of these highly-respected certifying organizations miss a wide range of possible master coaching techniques, regardless of what they say about inter-rater reliability. That just means the certifiers agree with each other; it doesn't mean that their criteria include every form of master coaching. If they fail you, remember, they'd fail Tony, too. Don't use either passing or failing life coach certification as an excuse to quit your coaching development. Use it as a challenge to keep going and become the kind of coach who can turn around a client's life in minutes. By the way, Tony Robbins probably is the Father of the Coaching Industry. But Thomas Leonard is the coach who began turning coaching into a profession. Both have made enormously important contributions. Thomas started the IAC because he was frustrated that ICF life coach certification was leaving out some great coaches. I later started School of Coaching Mastery's coach certification, because I became frustrated that IAC life coach certification is also leaving out some great coaches. I've definitely learned some new things from him. And I've seen evidence that what he does is highly effective. I've even learned how to use techniques that Thomas Leonard cautioned against. What do you think? Do you agree that Tony Robbins wouldn't pass ICF or IAC life coach certification? Or am I totally full of cr*p? Want to learn more about becoming a coach? I interviewed my friend and colleague, Donna Steinhorn, IAC MMC, ICF PCC, on the difference between ICF and IAC life coach certification. Unfortunately, the recording was no good, which is one of the of the many reasons that attending live is always the best policy. The feedback from coaches who attended the interview has been awesome. So I'm going to add a few highlights here, in case you missed it. The two organizations, themselves, are of course, the ultimate authorities on what they do and they change their policies from time to time. So if you're looking for highly detailed info, visit their respective web sites. The ICF's is coachfederation.org and the IAC's is certifiedcoach.org. Donna has been deeply involved in coach training and certification for many years and is one of only a handful of coaches who have both ICF and IAC coach certifications, which is why I chose her for this interview ~ that, and the fact that Donna is fun to talk with. Both Donna and I have been on the coach training and certification bandwagon for eternity (Donna is a member of SCM's Board of Advisers) - and we're both rebels, so we have a shared skepticism, as well as support of these two leading professional organizations and their respective credentialing processes. We began our conversation by noting that there are limitations to both ICF and IAC coach certifications. Each has its own coaching competencies (or masteries, as the IAC calls theirs). Each definitely has its own coaching style, which you need to be able to demonstrate. Neither style encompasses every possible way to coach brilliantly; they're just doing the best they can. So why are there two professional coaching organizations and certifications? Actually, there are zillions of them - some completely bogus - but these currently are the most respected. Oddly, the same man, Thomas J. Leonard, the 'Father of Professional Coaching', founded both the IAC and ICF. Thomas founded the ICF in 1995 and later, the IAC in 2003, just before he passed away. ICF credentialing, as it's called, emphasizes coach training, mentoring and experience, as well as an online test and demonstration of coaching skill. Thomas sought to streamline the process of certification with the IAC, which emphasizes the results of coach training, mentoring and experience, rather than the documentation of it. This makes the IAC certification process a bit simpler, but it's by no means easier, because coaches need to demonstrate masterful coaching skills. 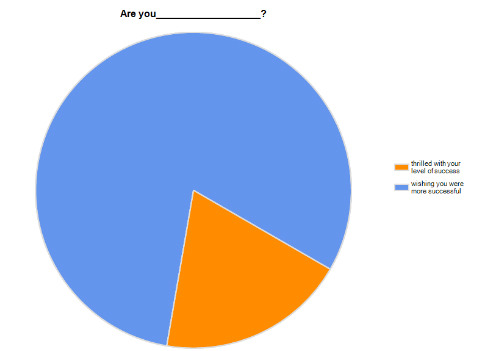 Only about 25% of coaches who apply for IAC Coach Certification pass on the first try. 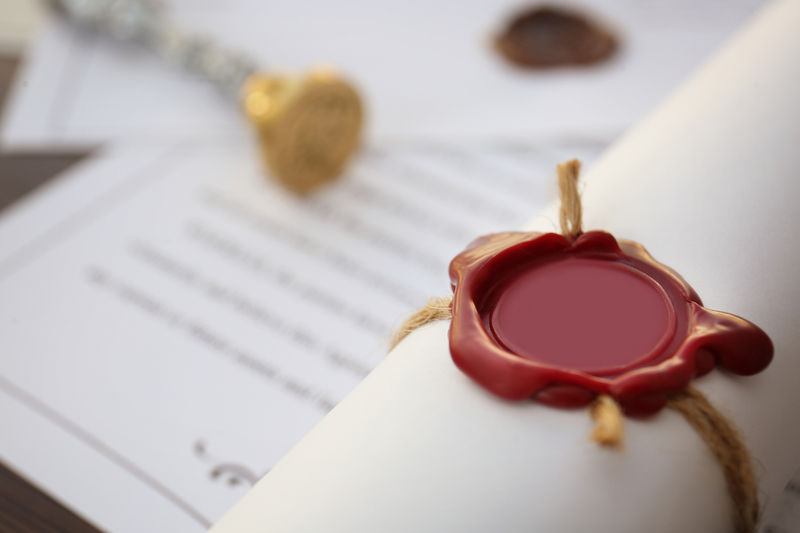 Finally, the ICF has two pathways for credentialing: The portfolio route allows you to get your coach training anywhere and the accreditation path requires you to study at an ICF accredited coach training school. The IAC doesn't require demonstration of coach training, just the results of it: masterful coaching skills. I know most IAC Certified Coaches and I believe all of them have had substantial coach training and/or mentor coaching. Donna says there may have been one coach who passed without being trained. I asked Donna if there were any hidden costs to getting certified by either organization. She mentioned the mentor coaching requirement by the ICF, which would cost you about $350 - 400 per month, but Donna doesn't consider that a hidden cost, since all coaches need to have their own coaches at all times. Personally, I don't think anyone needs a coach every minute of their life, but coaches are foolish if they don't work with successful coaches of their own. I worked with two excellent mentor coaches while I prepared for IAC Coach Certification. What, in Donna's opinion, is the best benefit of getting certified? She considers the coach directory on the ICF website, which only lists ICF credentialed coaches, to be by far the best benefit, because it brings her a steady stream of potential clients. We agreed that the IAC would do well to offer such a benefit to its own membership. Finally, which coaches need certification most? Donna says corporate coaches and perhaps executive coaches, since companies usually want to see credentials. She doesn't believe life coaches need to be certified, but I've seen anecdotal evidence that clients are screening life coaches more carefully than they used to. Even new life coaches are telling me that potential clients ask about training and certification. School of Coaching Mastery's Certified Positive Psychology Coach® program prepares coaches for ICF credentialing. So there you have the Readers Digest version of the ICF Credentialing vs. IAC Life Coach Certification interview. I truly love coaching. So much so, that I've devoted the last 15 years of my life to it (The last 9 years have been about helping life coaches, business coaches, and executive coaches succeed via School of Coaching Mastery). Why? Because truly great coaching melds optimism, personal growth, relationship skills, and helping people be their very best. Plus, it's fun, inspiring, and a great way to make a living, unless you are one of the unlucky souls who get snagged by the wrong advice, like the poor sap JP Sears portrays in the How to Be a Life Coach (Not) video, above. JP is playing for laughs. But here's the sad part: What he says and does in this skin-crawling satire of a life coach, is remarkably close (even identical, in some cases) to advice given by hundreds of self-proclaimed expert "coaches". You'll recognize them by the yachts, sports cars, and private planes they like to pose in front of, or in the opposite extreme, the spiritual, heart-centered props and rhetoric they used to sell their Law of Attraction "abundance" programs. Yuk. These coaches are fake. 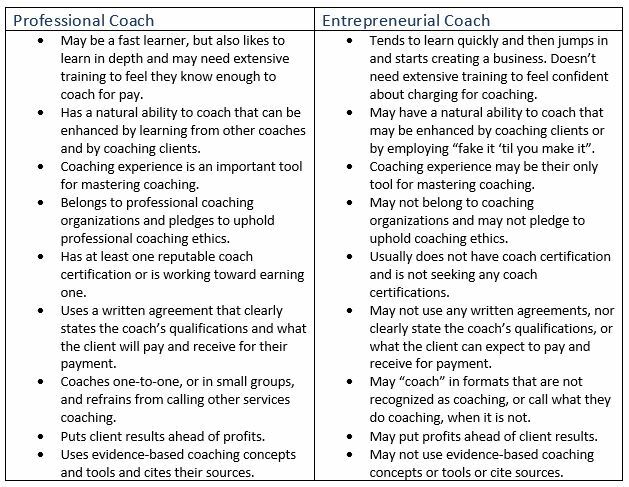 Most don't coach at all (even if they call what they do "coaching"), or they use coaching skills to manipulate their customers into buying more and more products and programs, instead of employing those skills to help their customers succeed. This violates basic ethical practices in professional coaching. You see, if you succeed, you won't need to buy any more advice from them, and that's no good for their bottom lines. Don't get coach certification. Again, some coaches will angrily fight the idea that they need any type of credential. I suspect the anger is a cover for insecurity and more than a little paranoia. 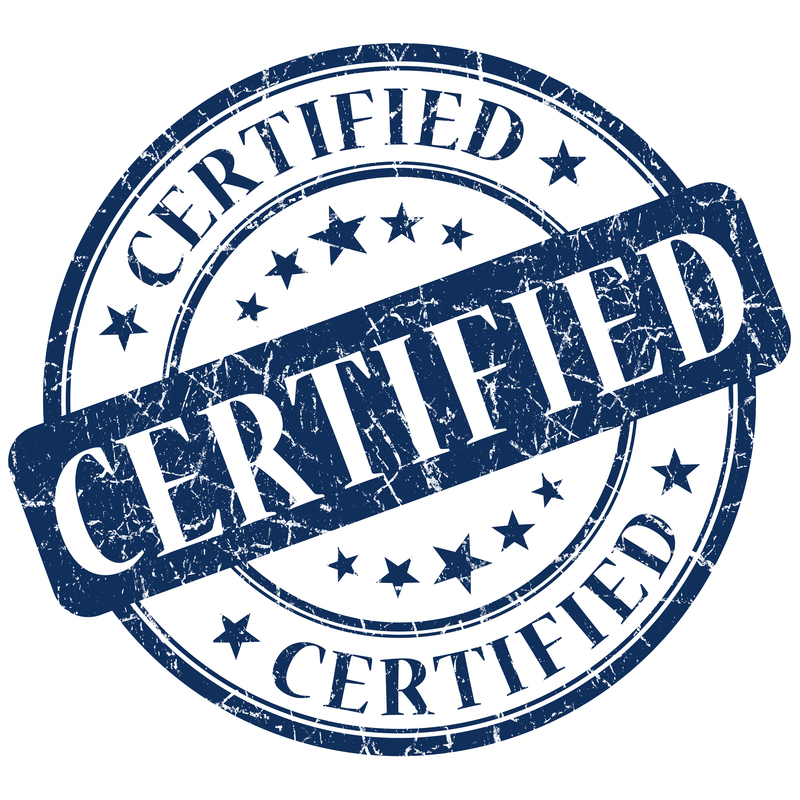 Because, once you're certified by a reputable organization, that fear tends to vanish, and because you've got a stamp of approval from a trusted source, that says you've got the right stuff. Will your clients ask you about it? Some will; some won't. Why lose even one client, because you didn't bother to get certified? According to the ICF, 84% of actual coaching clients say, coach certification is an important consideration for them. In some parts of the world, that percentage is even higher. So there you have the worst possible advice for new life, business, and executive coaches.